Create unique looks with raised surfaces on cards, tags, scrapbook layouts, and more by embossing with rubber stamps. Embossing allows you to add color and texture to your stamped images, draw focus to part of your design, and make the project look irresistibly touchable with just a few simple steps. If you can stamp, you can emboss. Embossing with rubber stamps is simple and requires just a few additional tools and steps. Apply the rubber stamp to the embossing ink pad to saturate the stamp. Stamp directly onto the card stock, applying medium pressure to transfer the ink to the card stock. Lift the stamp away and set it aside. Carefully shake some embossing powder onto the ink. Do this quickly before the ink has time to begin to dry. Lift up the page to pour the excess powder off of the image and back into its container. Tap the paper a few times to get any loose grains of powder off of the stamp. Turn on the heat source and hold it just above the embossing powder without touching the cardstock. As the powder begins to melt, move the heat source around carefully to melt all sections. Repeat with as many stamps as you like. Loose metallic embossing powder on stamps. It's possible to get several different looks from your embossing powder and stamps by slightly varying your technique. Try any of these tips and tricks to get the most out of your stamping. Example of various colors of embossing powders. Embossing and pigment inks come in a wide range of colors, as do embossing powders. While it is possible to use the same color ink and powder, or to use clear ink with any colored powder, you can get some extra dimension out of your stamps by using different colored inks and powders. Look for coordinating colors, such as silver and icy blue. If you blow away some of the embossing powder from the sections of the stamp before you emboss, you'll bring some of the original color through in places, adding both texture and dimension at once. Embossing powders begin to melt between 200 and 300 degrees Fahrenheit. By moving your heat source closer to and further from the powder, you can melt it to varying degrees. 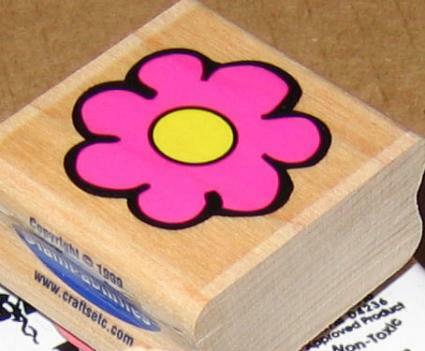 This can create different looks within one stamp. 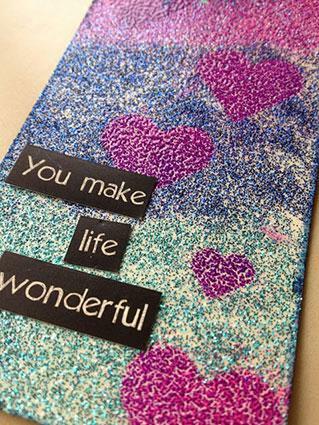 If you are stamping a large area, consider using powders that have the same color, but different finishes. For example, a metallic or pearl powder in the center of a stamp and a solid color around the edges can really make your image pop. Special detail embossing powders will help raise specific sections of your stamps more completely than other sections. This adds subtle dimension and extra texture to the finished results. Handling your cardstock will cause oils from your skin to transfer to the surface where excess powder may stick. If this happens, you can brush away the powder with a soft brush. To prevent it from occurring, rub a fabric softener sheet over the areas you aren't stamping to keep the powder from sticking. If you're planning on cutting out your embossed stamp to use in a scrapbook or other media, make sure you cut around your image without cutting any embossed areas. Cutting too close will cause the embossed sections to flake off. If your stamp did not transfer enough ink to the card stock, use an embossing ink marker to fill in the missing areas. If your powder did not melt evenly, just reheat it. This will remelt the powder and allow you to get a more even finish. Scrapbooking Warehouse carries a variety of embossing and stamping supplies from powders to texture plates. Herrschnerr's has been around a long time, supplying crafters with all kinds of materials. They carry a large selection of supplies for embossing and rubber stamping. 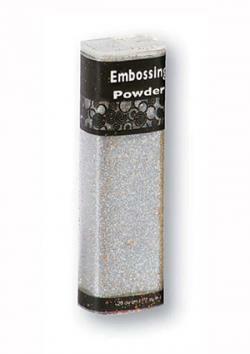 Paperwishes stocks glitter embossing powder as well as hundreds of other items that you will need to create your rubber stamped or embossed project. The Stampin' Place carries embossing and stamping supplies and accessories such as heat guns, specialty embossing powders and a multitude of stamps. Embossing allows you to create beautiful cards, gift tags, scrapbook pages and many other crafts without much effort or expense. Get started with some rubber stamping and embossing and see where the process takes you.